From first enquiry to last goodbye, it has been an absolute pleasure being a Marmot customer. 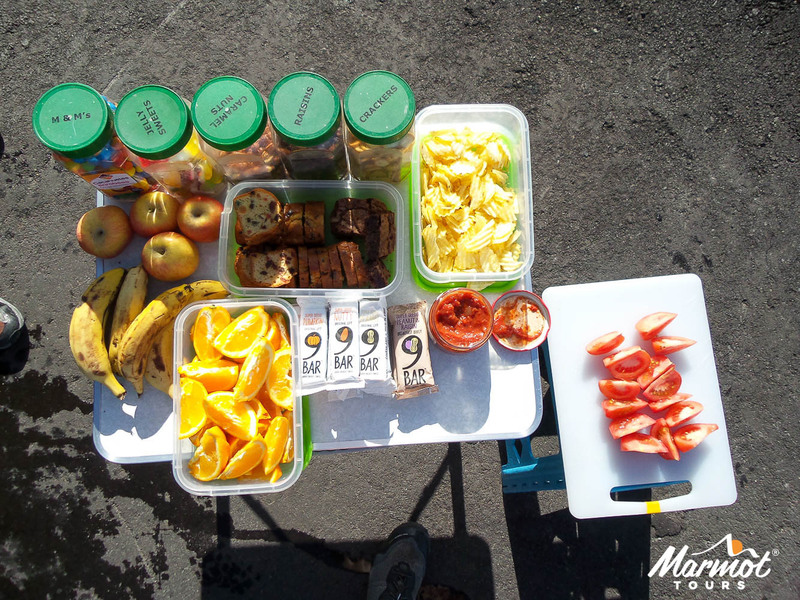 The Raid I did was an experience I won't forget, nor the many people at Marmot and fellow cyclists who made it so. 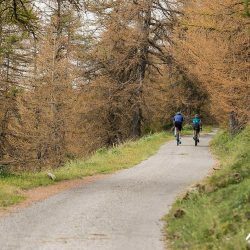 Just inland from Nice, the Mediterranean Alps are an idyllic playground for cyclists looking for quiet roads and a variety of both challenging and gentle climbs. 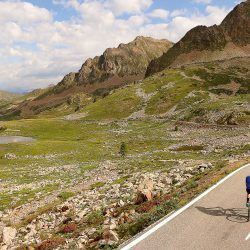 Throw in some spectacular and varied scenery, the Mediterranean climate, some comfortable hotels and the peerless support of the Marmot Tours guides and this has to be the perfect Summer road cycling holiday. 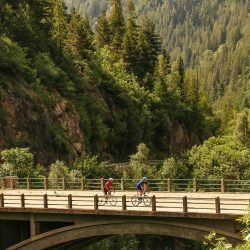 During your 6 days of cycling, you’ll loop around the Mercantour National Park on a point-to-point journey which takes in most of the iconic climbs that have been made famous by the Tour de France. 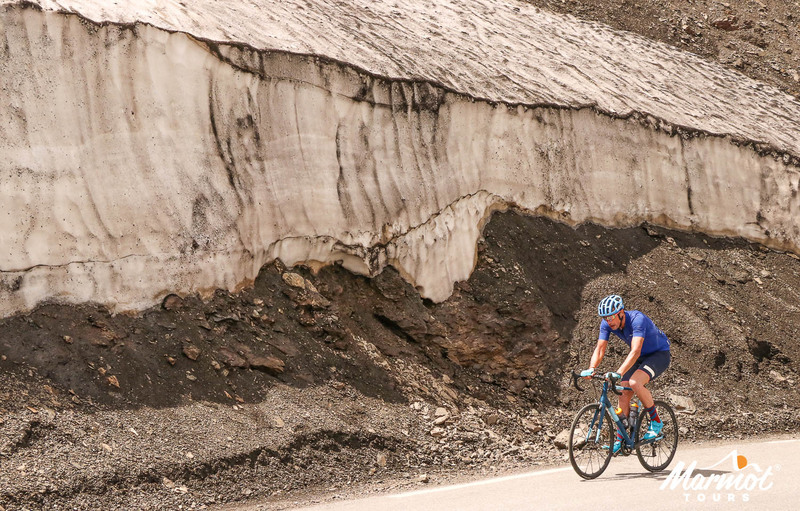 A highlight of the trip is the the Cime de la Bonnette, which up at 2802m, is the highest surfaced road in Europe. 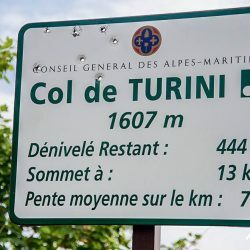 That said, there’s a ‘bucket list climb’ to tick off every day – Col de Vence, Col du Turini, Col de Cayole, Col de Madone to name a few. In contrast to the vibrant city of Nice (where we spend our final night), the mountains to the North are arid and unpopulated. 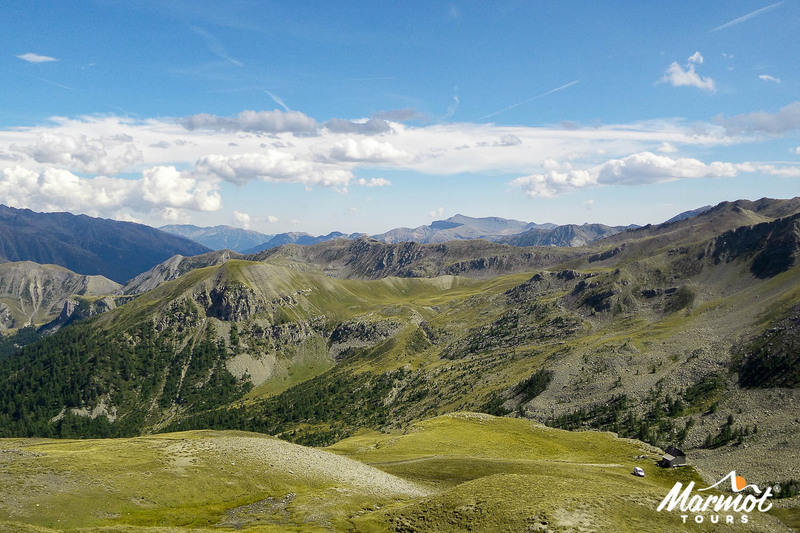 It is a rugged landscape of deep gorges, sheer cliffs, oak & pine forests as well as serene Alpine pastures. 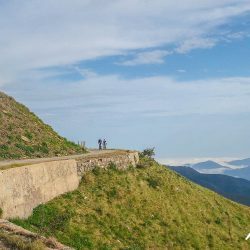 Linking the remote villages is a network of roads that cling to the mountainside, gaining height with tightly stacked hairpins and gravity defying feats of military engineering. It’s important to us that you book the correct holiday for you so do download and read the Trip Notes for all you need to know about this holiday; a detailed itinerary of each day plus information on food, accommodation & travel. 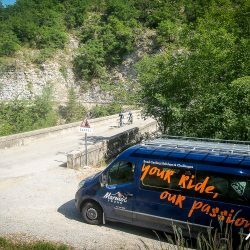 We offer transfers at various times of the day from Nice airport to our start hotel (40mins away), nestled in the hills of the Var valley near the hamlet of Gilette. All transfers are included in the price of your holiday. 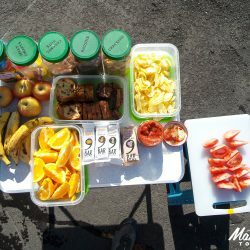 Those arriving early will have time to relax in the hotel grounds, with bar and swimming pool, or there is the option of going for a warm up ride. 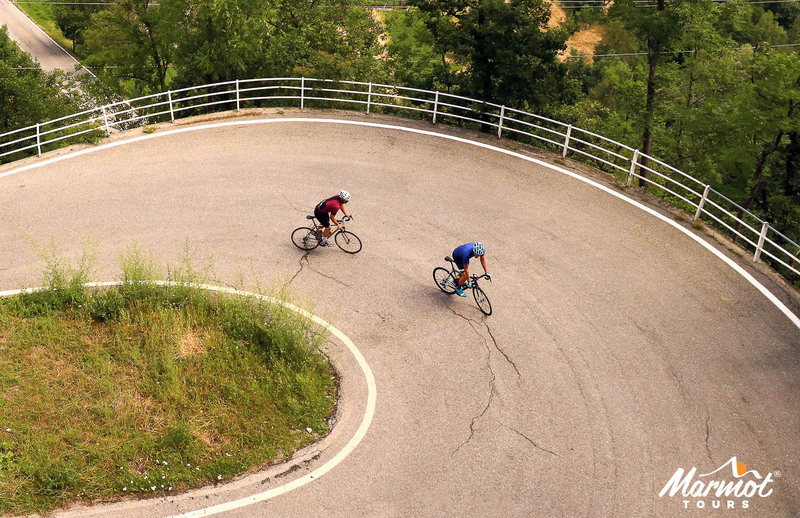 The Col de Vence (963m) is the perfect way to kick start our week of cycling. The gradients are kind (6.5-7%) and incredible scenery provides a good distraction. From the summit, mountain after mountain stretch out into the distance; this our playground for the rest of the week. 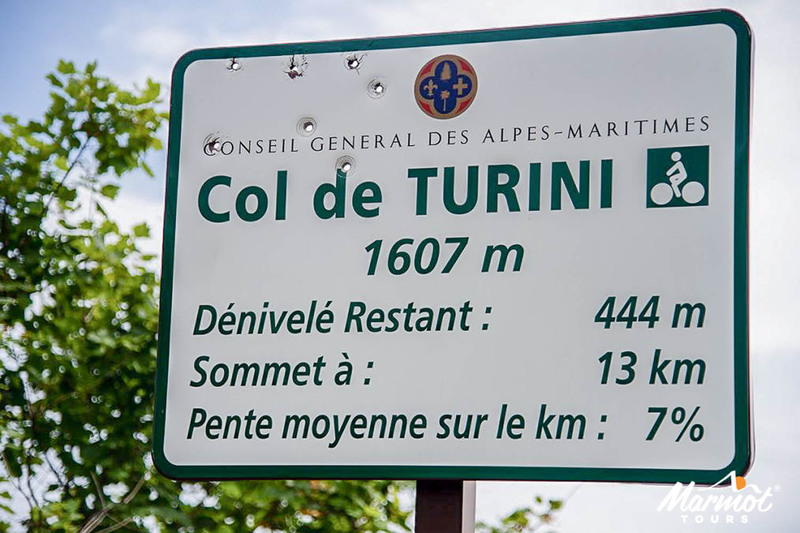 As always we offer various route options, the most challenging of which takes in a big loop of the Parc Naturel Régional des Préalpes d’Azur over the Col de Blaine (1440m). The Gorge de Cians dominates today’s ride. Hewn into the sheer burgundy cliffs is a famous balcony road, which snakes its way up to the ski resort of Valberg (1673m). En route, you pass waterfalls, deep ravines and precariously placed natural rock sculptures. It is a truly memorable ride. The routes split at the start of the day. Those wanting to save their energy enjoy a descent down to the valley road and follow the River Var to the base of the gorge. 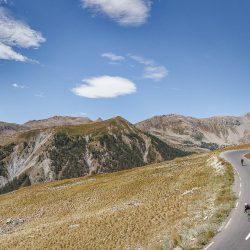 The other option is to head over the Col de Vé Goutier (1093m) and the Col de Saint-Raphël (876m) on another beautiful quiet road. We start the day with a wonderful descent to Guillanuses at the head of the gorge de Daluis. From here the only way is up, as we follow the river Var towards its mountainous source. 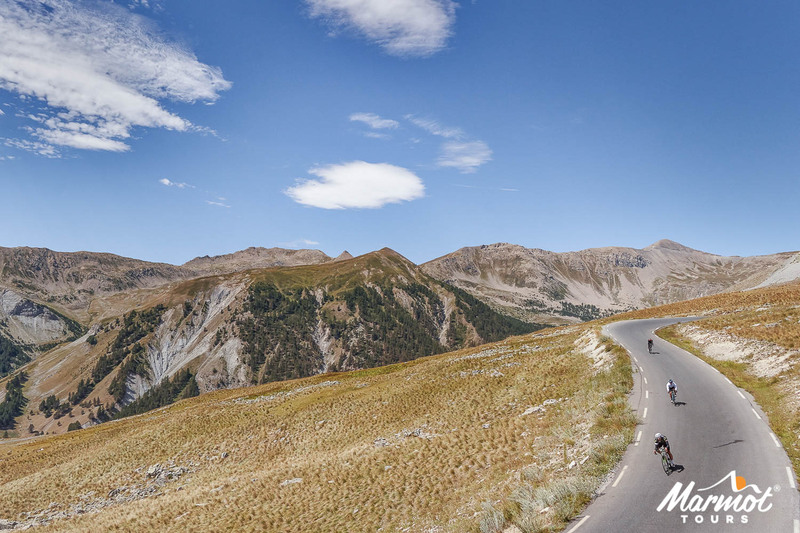 After 33km of spectacular riding, you arrive at the Col de Cayolle (2327m), where your efforts are rewarded with some stunning mountain vistas. 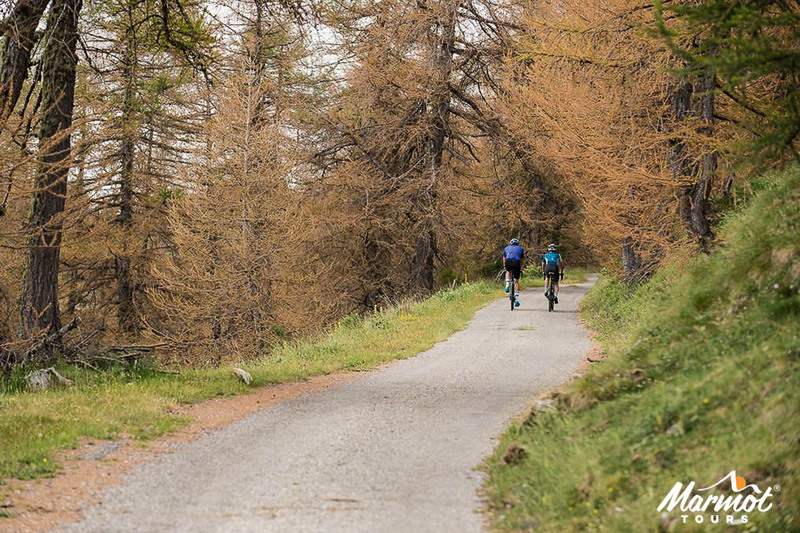 The descent to the lively mountain town of Barcolonnette, where we spend the night, is a delight. Here you can decide to either retire gracefully and explore the Mexican!?! 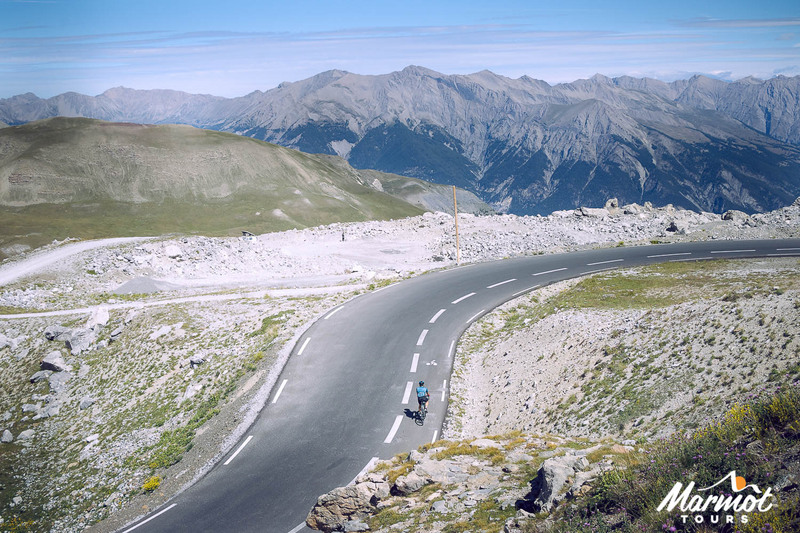 architecture or head out for more cycling in the form of the Col d’Allos (2247m). 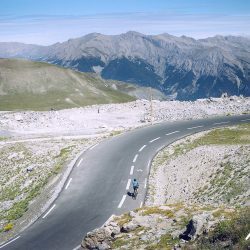 The gravity-defying road to the Cime de la Bonette (1808m) was built in the 1930s as part of the Maginot line military fortifications along the French/Italian border. 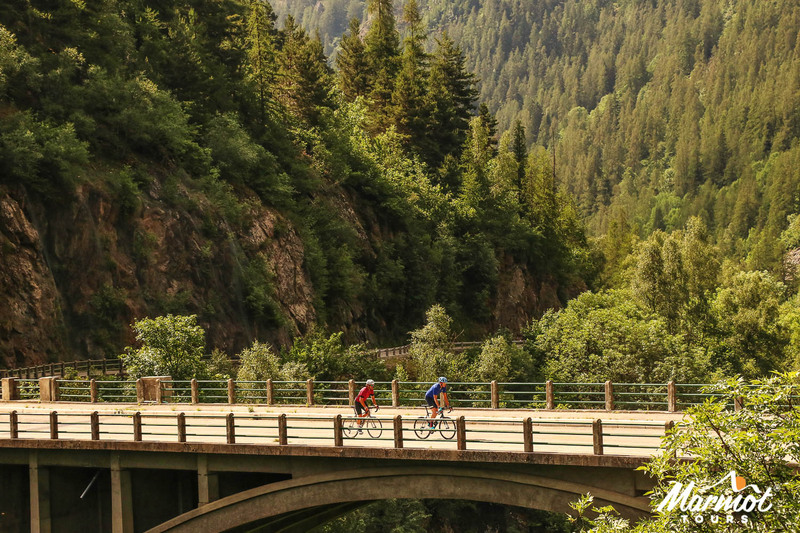 Cyclists, really we get to fully appreciate this magnificent bit of road building into the remote mountains, with only the occasional crumbling concrete gunning post deterring from its natural beauty. 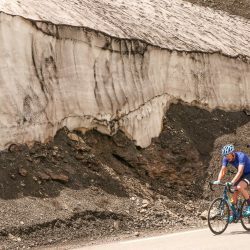 The actual Col de la Bonette (2717m) has been cut out of the narrow ridge, providing a cunning short cut for those who can’t face the final cheeky gradients. 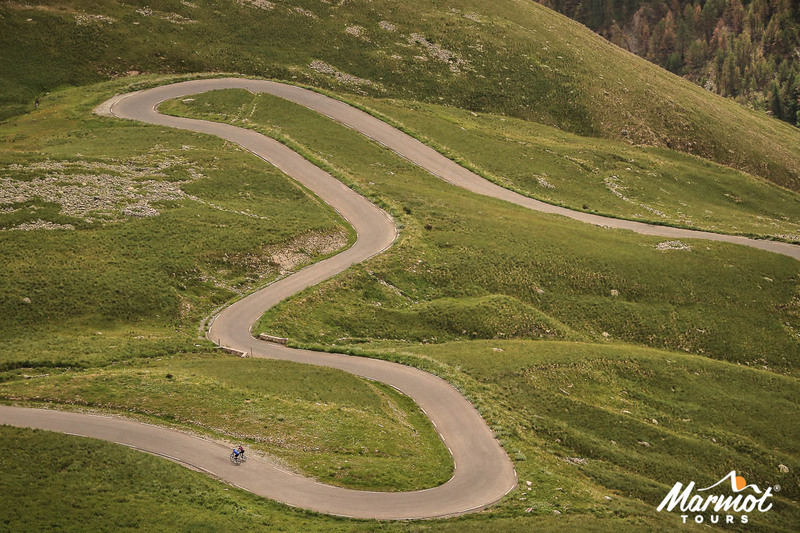 The descent to Saint-Étienne-de-Tinée will certainly put a smile on your face. All that remains is a final push to the ski station of Auron (1610m). 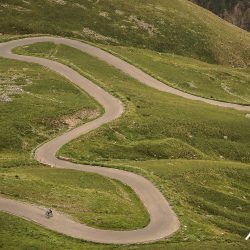 Today’s optional extra takes you up the very narrow, remote and challenging Col de la Moutière (2452m), which in places is not much more than a ‘surface’ farm track. 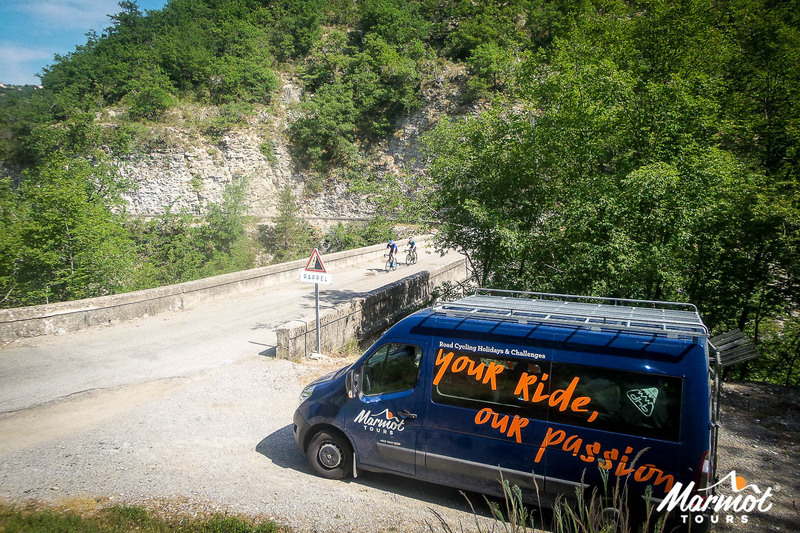 Despite being the most challenging cycling day of the holiday, we start with a nice 37km long descent into the gorge of the river Tinée. From here you’ll climb abruptly up the valley side to the Col de Saint Martin (1502m). 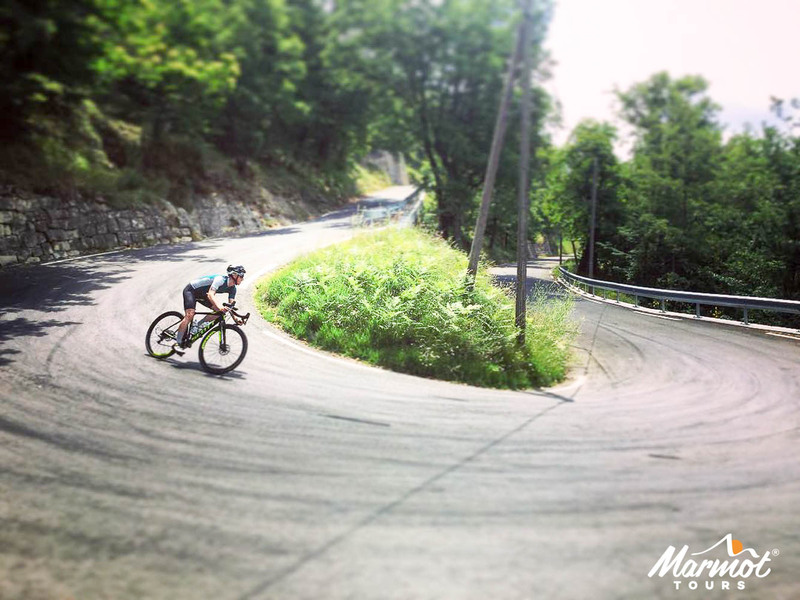 A sweeping decent lines us up for the main event and one of the highlights of your week – the Col du Turini (1605m). 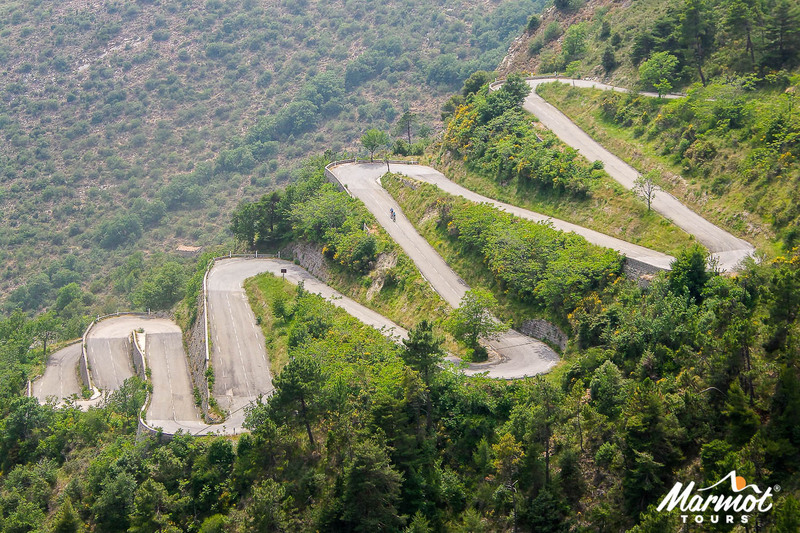 Etched out of the mountainside, this road was made famous by the Monte Carlo Rally, which enjoys its endless well-graded hairpin bends. Naturally, it’s also great (but somewhat challenging!) on 2 wheels and is a favourite of Chris Froome, who does a lot of training in this area. Our hotel is on the top of the climb, so the only way is up; hopefully the thought of a cool beer on the hotel terrace might help motivate you for the final push. 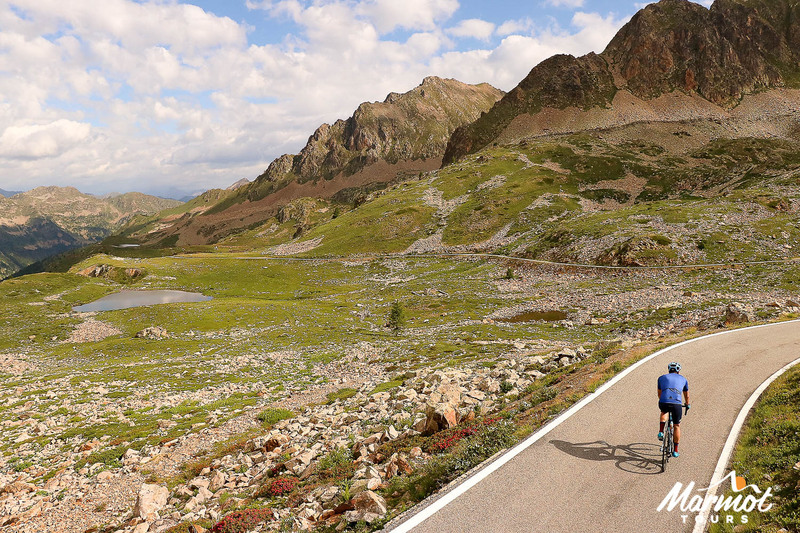 Today’s optional extra is early in the day and takes the form of the brutal, but stunning Col de Lombarde (2347m). To end our week of world class cycling, we head to the city of Nice, where our 4 star hotel is within easy walking distance of the Vieille Port and the Cafe des Cyclists. We start the day with a rollercoaster descent down the Turini, however there is the option of first taking in the Circuit de l’Authion (2016m). 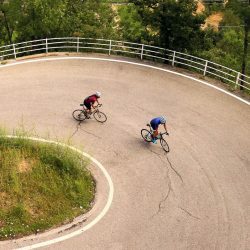 This is a ’noose’ shaped loop around the mountainside on a narrow military road which comes recommended by Chris Froome (Cyclist, November 2017 – we featured in The Big Ride in this issue). 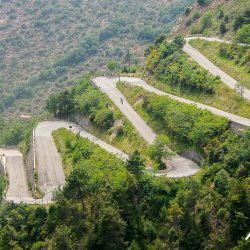 This lines us up nicely for the Col de Braus (1005m), the climb itself is nothing special, but the descent down a series of tightly stacked hairpins is truly epic. The climbs keep coming today and the next is the Col de Saint-Pancrace (673m). 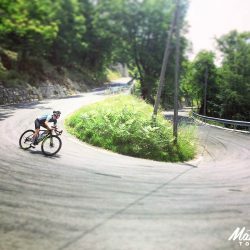 For those of you wanting even more of a challenge, you can continue to the Col de la Madone (927m), which was made famous by Lance Armstrong who favoured this area for his training. 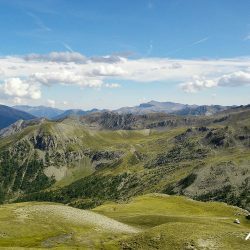 Descending to La Turbi, we pick up the ‘upper balcony road’, which snakes along the coastal mountains with spectacular views down to the Mediterranean far below. 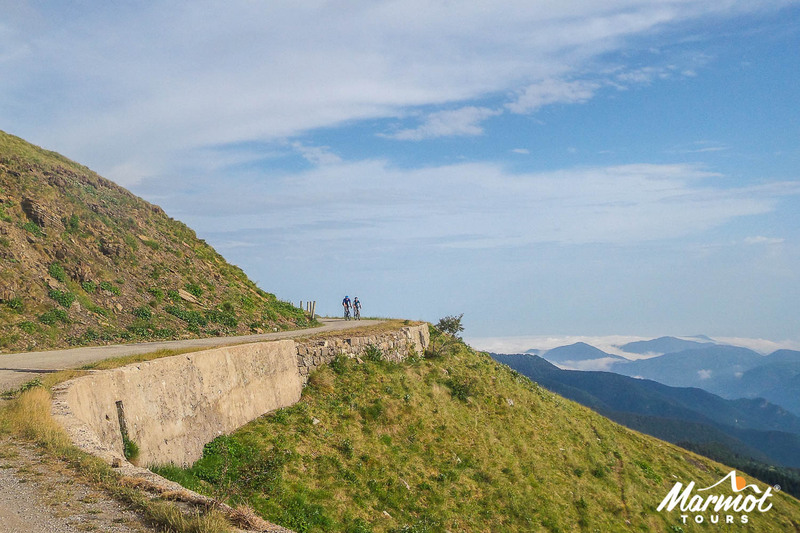 Made famous by the time-trial on the Paris-Nice Classic (known as the ‘Race to the Sun’), the Col d’Èze (507m), is a fitting finale. All good things have to come to an end. We offer transfers at various times during the day to Nice airport (20mins) at specified times.